Quilts held a special fascination for me as a child, long before the opening of dedicated quilt shops. All these years later I can still remember ladies quilting, transforming old dresses, curtains and bedspreads into beautiful works of art. Many of the old-time techniques for quilting have relevance today - particularly in regard to recycling old clothing to make new quilts. The best quilts don't come from quilt shops - the ones most treasured always come from the fabric of your life! As a young mother 30 years ago, I created my first quilt from pieces of fabric I found at a garage sale. I made my own simple template from part of a cardboard box and stitched the patchwork quilt together on a borrowed sewing machine. My second attempt at quilting was a little different. I bought much larger pieces of fabric, borrowed a sewing machine for just one evening and created a very plain and boring bed cover. The shapes and patterns I added later, with a needle and thread. I couldn't afford a television so I amused myself for many hours, slowly piecing together a bright collage made from recycled baby clothes and few of my own items of clothing. After cutting all the seams away, I ironed the remaining pieces of fabric flat, spread them out on the carpet and looked for inspiration. 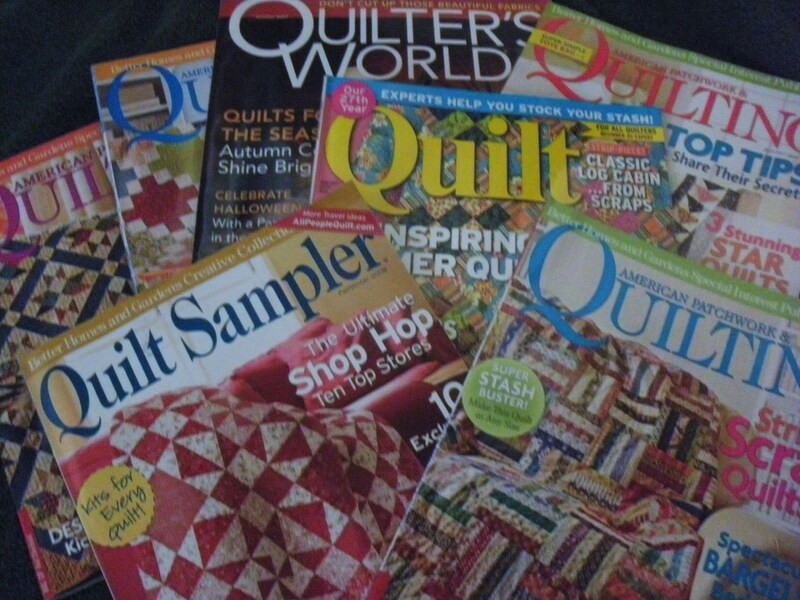 Many books and magazines include illustrations of quilt patterns for beginner quilters. If you spot a design that appeals to you, try a small sample piece perhaps the size of a cushion cover before committing to a quilt for a queen size bed. 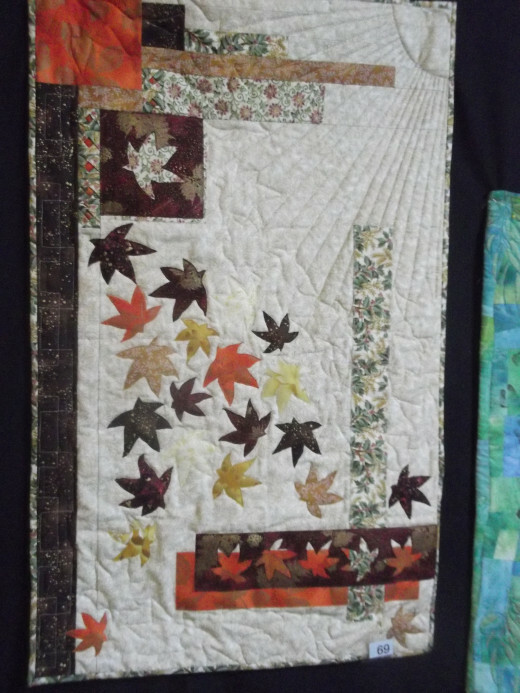 My first mistake with freestyle quilting was trying to stitch large shapes onto the quilt. I quickly learned that smaller is better and every quilt demands what felt like millions of stitches. Freestyle patterns take on a life of their own. Once you get started it becomes easier to spot where the next piece of fabric should go, what shape it should be, and which other piece of fabric will look great alongside it. Quilt patterns don't have to be repetitive. Many quilts present a picture or a story in collage form. Once the image is complete, it can be made more firm and resilient by carefully stitching through all layers with a sewing machine. A hint of lavender scent can make a quilt additionally attractive (and useful) at bedtime. Just be careful not to make the smell overpowering. Tuck a small sprig of lavender within the folded quilt while it is not being used, and see how your child responds to the scent when it is time to sleep. Make the border soft and cuddly - even if it means adding an extra layer to what could otherwise be a completed quilt. Add patches of fabric your child likes to stroke - and make sure you place at least one in an easy to reach position when your tiny tot is tucked up in bed. Remember that sometimes your child will be lying on top of the quilt - not just under it. Place soft fabric patches in appropriate positions so they can soothe themselves to sleep while they rest on their quilt on the floor if necessary. Choose a pattern or colour for the underneath of the quilt that will not easily show marks and stains. Babies grow into children, so the baby quilt you lovingly create should be designed to meet the needs of a growing child. Every baby quilt should be able to withstand a bit of rough handling from kids of all ages. You might be able to discourage older brothers and sisters from playing on the baby's quilt for a while, but sooner or later that quilt will become an active part of older play. Toddlers should be able to drag their favourite quilt outside for a spell in the sunshine, slide on it across the floor to follow the spread of their toys, and wrap themselves in it as they make the long, sleepy trip from the car to their bed after a late night at granny's house. Factor all these things into your baby quilt design. Kids love to snuggle under their favourite quilt. But what makes a quilt a child's favourite? No doubt the images are important. Popular pictures make anything in a child's bedroom visually attractive. I believe, however, that the texture and even the smell of a quilt will make even the ugliest images into a much-loved comforter. Instead of heading to a quilt shop and relying on a standard quilt design featuring cartoon characters, try identifying your child's specific needs - and meeting them. 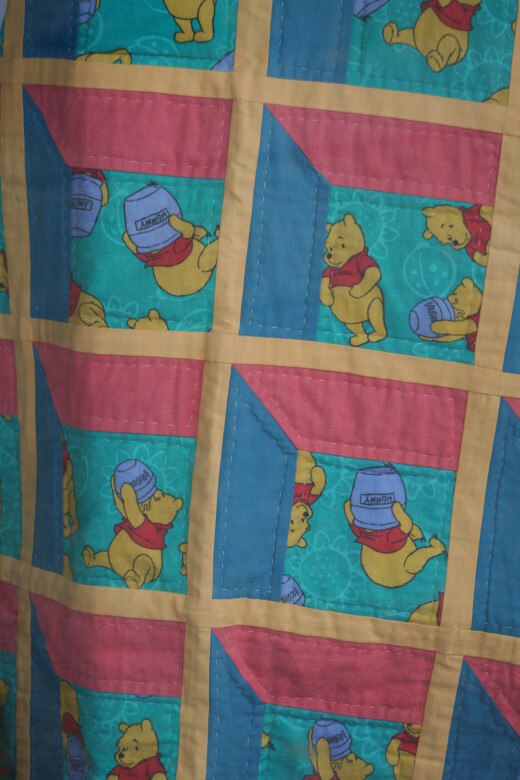 The award-winning Winnie the Pooh design in the photo, for instance, is a classic example of a quilt that I believe would benefit from the addition of soft shapes or panels every child loves to touch. In this particular quilt, each blue or pink shape could be a soft one. If your local quilt shop doesn't sell soft fabric, buy it somewhere else. 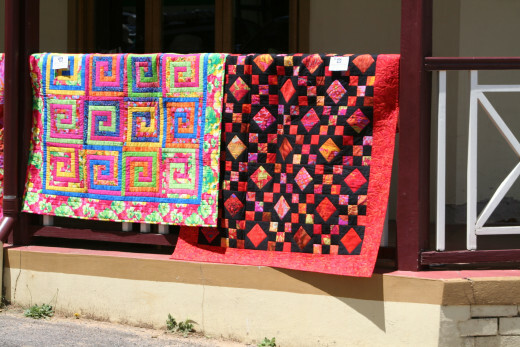 When I first heard an historic town in Australia has an annual 'Airing of the Quilts' event, I decided I would like to go there for a look. 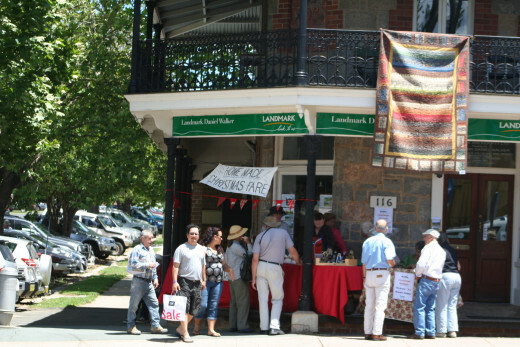 This year I went to Braidwood, NSW for their 19th annual Airing of the Quilts. 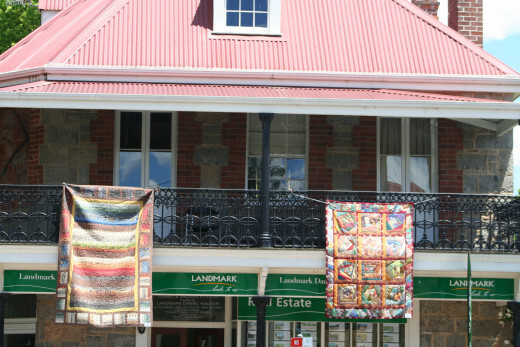 Quilts dangled from wrought-iron balconies and shop fronts along the length of the main street. Thousands of people had travelled to the town and, for one day at least, it was a bustling metropolis. 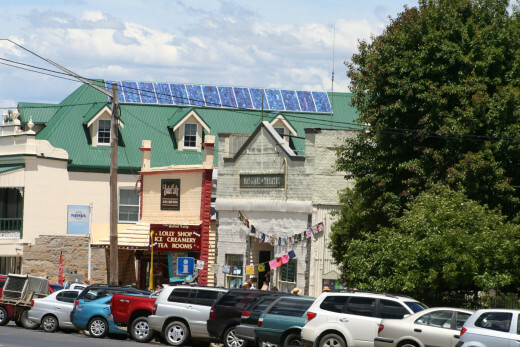 The entire town is heritage listed and the architecture is ideally suited to the display of traditional, hand-made quilts. Braidwood is situated about midway between the coastal resort of Bateman's Bay and Australia's capital city, Canberra so if you have the chance to travel to Braidwood's Airing of the Quilts event next November, you are well positioned to continue your holiday either to the National Museum and other big city venues or in the opposite direction to the beach. 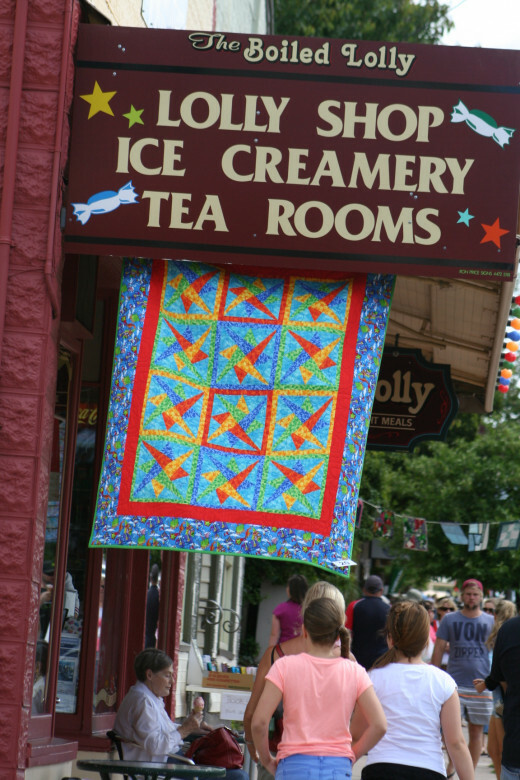 A surprising number of locations around the world promote annual Airing of the Quilts as a tourist attraction. I remember my grandparents used to air their quilts and feather-stuffed bed covers during springtime and summer when I was a child. 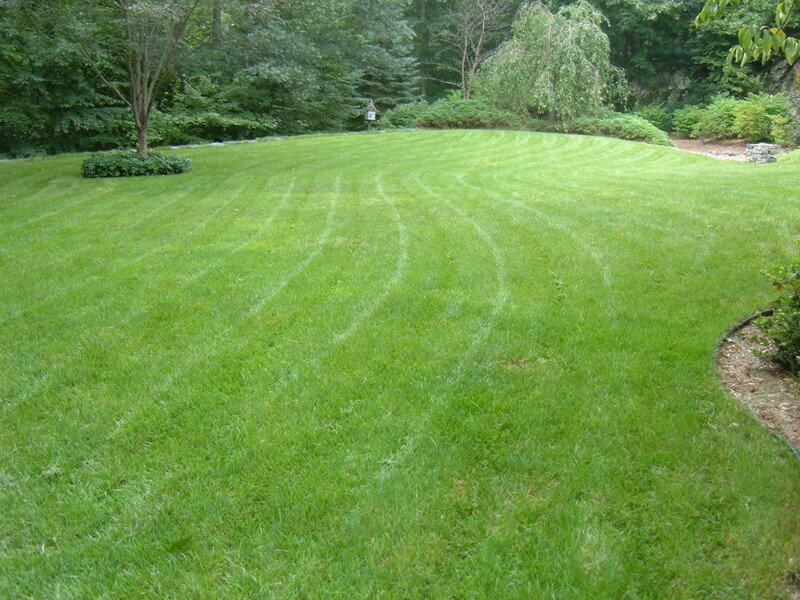 Bedding would be carried carefully out across the yard and dangled over the orchard fence. I'm not sure how they'd have felt if complete strangers came to celebrate the event. When living in the UK, our family had a couple of winter favourites filled with goose down. We'd shake the 'downies' a few times a year to ensure the filling stayed fluffy and was distributed evenly. The children would help by grabbing a corner and fall about laughing as we flapped it so hard it flung from their fingers. 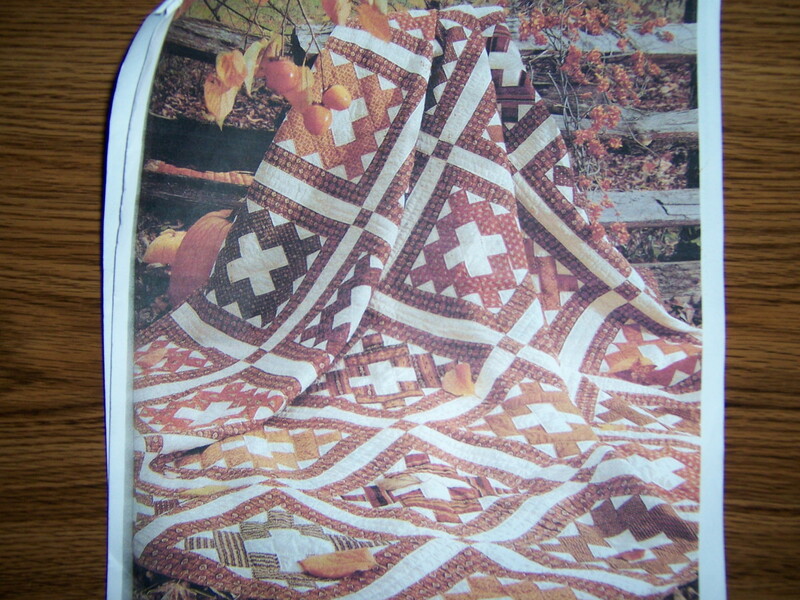 Airing of the quilts is no longer the necessity of yesteryear. Quilts made from strong, colour-safe fabrics can be washed by machine with no danger of the dyes running. Turn the clock back far enough, however, and airing of the quilts made perfect sense. After spending the time and effort involved in creating a patchwork quilt with a needle and thread, it was madness to suggest ruining the quilt with soap and water. Sunshine and a strong breeze freshened the quilts before folding and storing them during the summer months. A first patchwork quilt is a daunting project for many quilters - but it doesn't need to be! 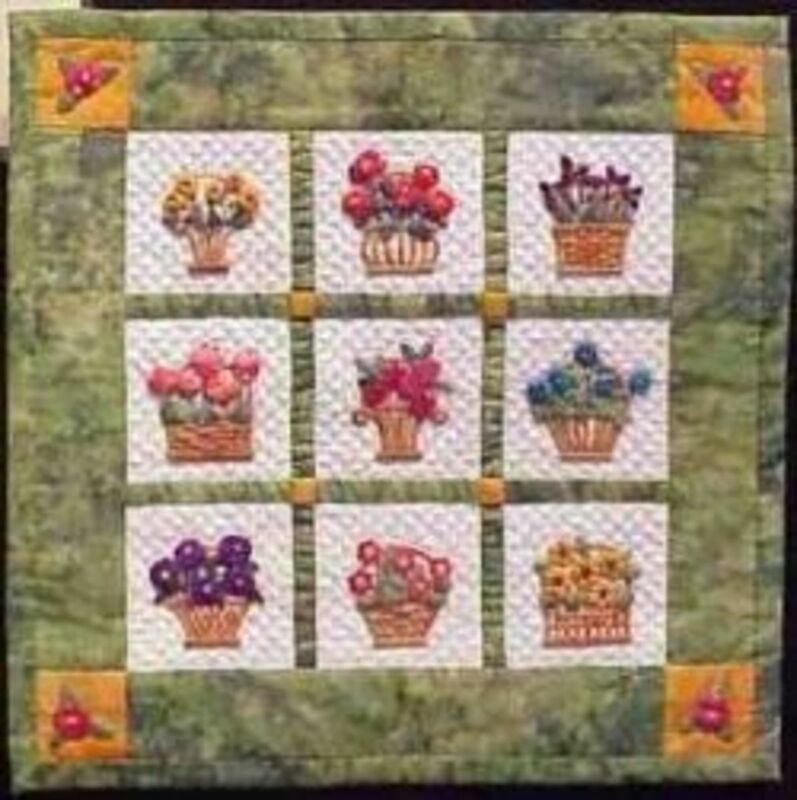 You can make a beautiful and functional quilt quickly, by crafting your own block layout, and quilting in a simple design. Whether or not you have quilt shops near your home and can afford to buy new fabrics, quilting is an ideal time to get creative and incorporate discarded fabrics into beautiful new bedding. There are some bright beautiful quilts here. Wonderful hub. I have not seriously tried quilting- in about 7th grade I got so far as cutting out some squares and triangles and that's as far as I ever got. Found a Wisconsin writer who has a whole series of books centered around quilting, which I found very interesting. One book (The Runaway Quilt) centered around the idea that information regarding safe places for escaped slaves to flee to could be "read" in quilts airing out outside of supporters' homes in some northern states. That was a fascinating read. The Best Quilts Don't Come From Quilt Shops incredible quilts and such creative work tried by hand is most interesting and valuable. Amazingly beautiful things are only made by hand. L.M.Hosler, hello. I am pleased you are inspired to finish your next quilt! Thank you for your comment. Hi teaches. How wonderful it must be to have quilts handmade by granny. It is hard to imagine ever parting with them. They would certainly be quilts made with love. Lucky kids! My mother used to make each new grandchild a special quilt. It was time consuming but to this day, they value them well. The best quilts come made from the heart. Lovely share. I remember my mother making our quilts and I started my first quilt when I was eight. Of course, that one I never did complete. But I have done some since then, not many but your hub just put me in quilt mode. I do have one I need to get finished. Lovely hub with some beautiful quilts. Quilting can be quite a work of art. These are beautiful quilts, and I like your baby quilt tips. I tried my hand years ago at crazy quilting and selected fabrics I liked rather than being overly regimented. I love my quilt, but it is very loud and clashy. No matter. It's all in the eye of the beholder. Excellent hub. Thanks, Eddy. I am trying to set aside time each week to generate a couple of hubs. Now that it is summer in Australia I have more solar power so I can sit at the computer until late at night without draining the batteries. :) Perhaps I can send some sunshine and light your way while you endure winter. lol. Quilts are works of art, and can be made more special by using fabric from clothing that help you remember those cherished memories. Using textures like you suggest adds even more interest. 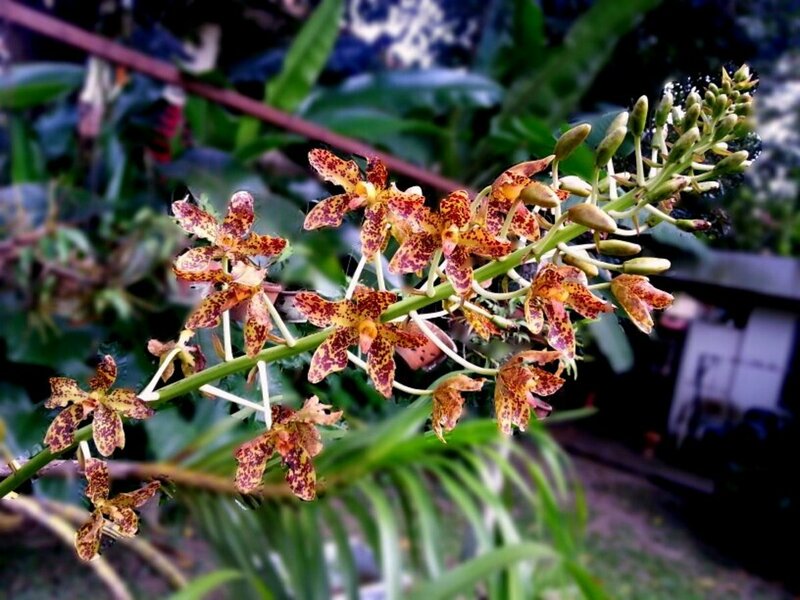 Thank you for sharing these photos with us. I haven't seen an airing of the quilts. It would be fascinating to see. Voted up and pinned. I can only so very enthusiastically say the biggest thank you. This hub is so interesting and your obvious hard work has certainly paid off. I now look forward to so many more and I wish you a wonderful day. Thanks so much for taking the time to leave your comments. Susan, how lovely that you've received a gift made with love ... and with healing energy in every stitch. :) I'm sure you'll love quilting when you get the chance to try it. Thank you, moonlake. As long as you have the space to store them, quilts will wait for as many years as it takes to complete them. One of mine sat untouched for about 5 years, lol. Stephanie Henkel, I understand where you are coming from. It is much quicker and easier to simply design a quilt than make one ... but I find it kind of therapeutic when I have the time. Hello JayeWisdom. I learned those tiny even stitches when I was a child. Note to self: Teach my youngest daughter how to sew by hand. Too late, sadly, to teach my adult kids. I did teach them how to sew on buttons, darn socks, crochet and knit. Plus make pottery and finger knit and a bunch of other crafts, but I don't recall spending much time on embroidery or hand sewing. Hi Barbara Kay. I am pleased to have inspired you. If you live near Randy Godwin, I believe his mother's quilting frame might be available. :) I am a floor worker as well when I'm quilting. Not ideal, but it gets the job done. Phyllis Doyle, I am pleased you agree that the best quilts don't come from quilt shops. I genuinely treasure quilts that contain memories and snippets of my life. 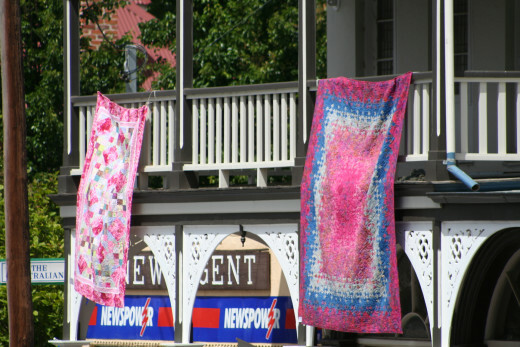 The Appalachian Quilt Trail is worthy of a mention on everyone's bucket list! Minnetonka Twin, thank you for your feedback as well. Your niece reminds me of one of my daughters who still insists on having her favourite quilt on hand. I've tried to fold it and hide it many times because it is old and faded but she loves the texture and refuses to allow me to retire it. lol. It was old before she was born, but there's something about the way it feels that she just loves. 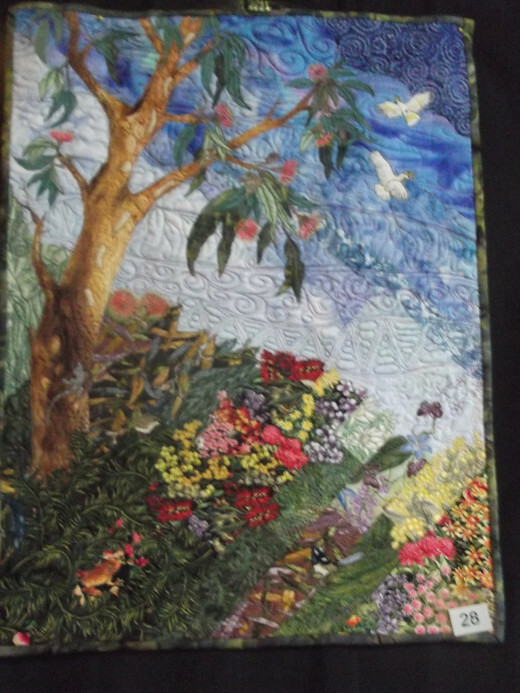 Hi Jodah, I know it is a long way from Queensland, but the Airing of the Quilts is worth a look if you get a chance. Maybe take a November holiday and visit Questacon and the Dinosaur Museum and other fun places in Canberra with your kids ... before or after the Saturday quilt airing event. 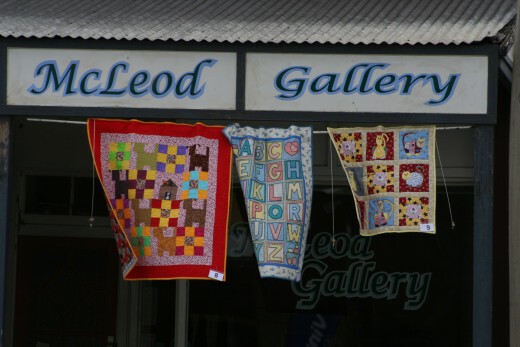 :) I'm not sure, but perhaps your wife could enter one of her quilts in the Braidwood competition. Quilting is one of the most engrossing and absorbing activities I have experienced! Its very common in my region of the world. Its called "Kantha-stitch". Loved your hub! Great hub LongTimeMother. My wife is an avid quilter as well. I've lost count of how many we have, but she has always put so much time and effort in. Special quilts for each wedding of a son or daughter, the birth of a child etc. 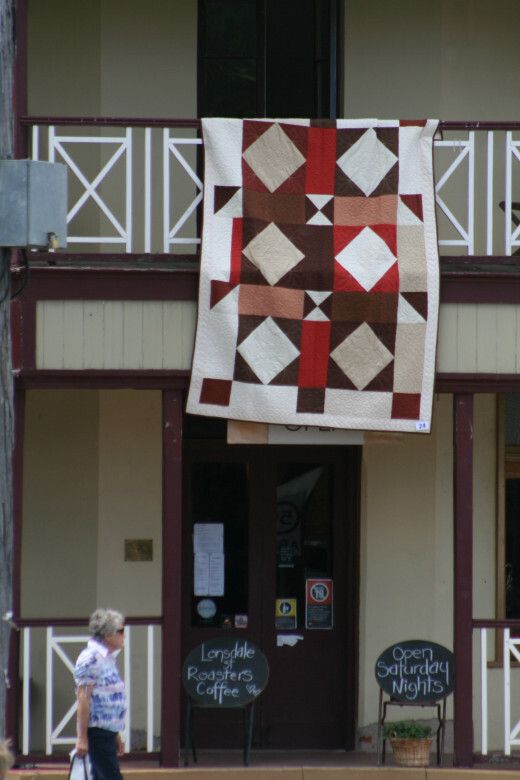 We have been to a few quilt shows, but the Airing of the Quilts at Braidwood would be interesting to attend. Voted up. What a informative and fun hub on quilts. My niece still talks about the quilt her great grandmother made for her. She said that the texture was just perfect. There is something so special and magical about quilts. Thanks for a very enjoyable article. I love quilts: looking at them, receiving them, giving them, making them. You have some lovely photos of quilts, which really enhance you well-written hub. What you wrote: "The best quilts don't come from quilt shops - the ones most treasured always come from the fabric of your life!" is so very true. I think of the early settlers in Appalachia and all the quilts women had to make throughout their life, always using scraps of fabric from old clothes and other items. 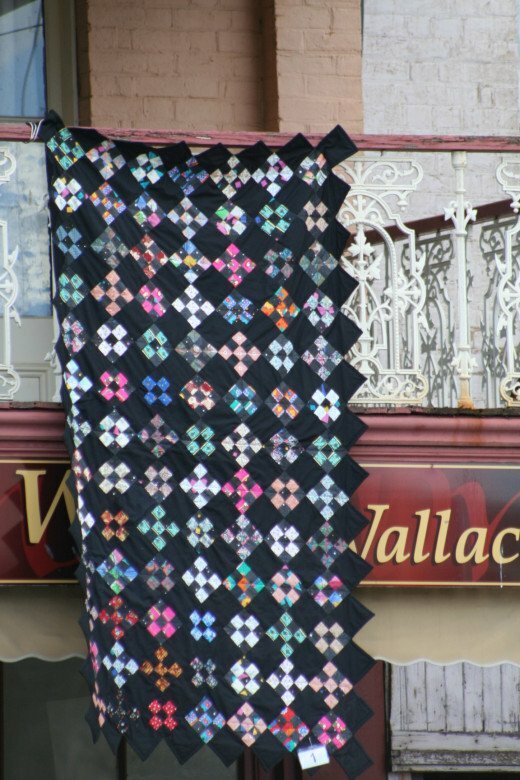 The "Appalachian Quilt Trail" is on my bucket list, to someday follow the trail and see lovely quilts. Thank you for writing this hub and sharing with us. I have lots of leftover fabrics from sewing projects. I need to get busy and sew some quilts. My biggest problem is not having a frame. I lay it out on the floor to put the 3 layers together. It could work out better if I had a frame. You have some inspiring quilt photos here. I have a friend who makes beautiful quilts and she gives them to her closest friends and family. Nothing says love like a beautiful hand made quilt. The photos are gorgeous! Quilting is an art medium and, fortunately, it is still practiced today. From the plainest quilt to the most intricate of designs, every handmade quilt is a treasure. I recall my grandmother making quilts entirely by hand with the tiny even stitches that she learned to do as a child. Hers were all the patchwork type, but filled with color and warm when she put them on the beds in cold weather. They were meant for use, and used for decades they were (including laundering) so that none of them survived as heirlooms. I don't even have photos of her quilts, but remember them (and the sight of my grandmother sewing) in my heart. 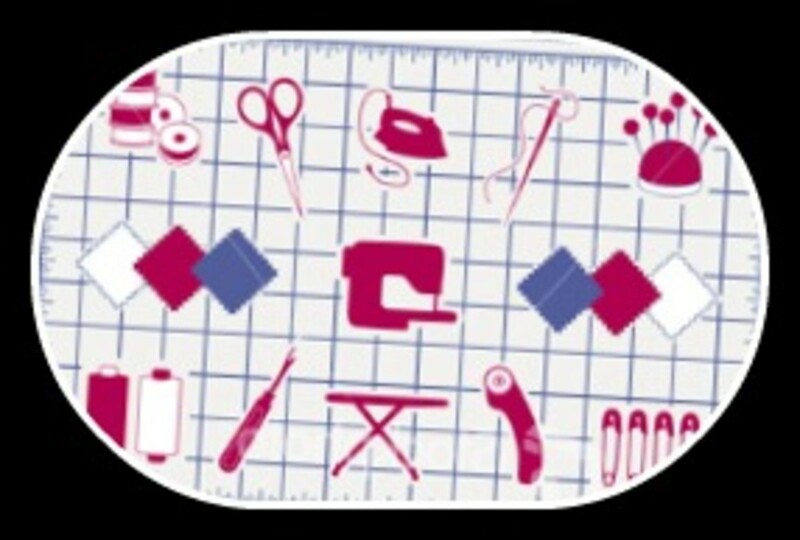 Great tips for quilting!My mother was a quilter, and I helped her make one of her first quilts using pieces of fabric recycled from leftover scraps from her sewing projects. She did all of the quilting by hand, and I'm lucky enough to have two of her quilts now. I love the idea of the free form quilts, but I think I'm more into the designing than the actual sewing! Great hub, voted up and shared! What a gorgeous Hub LongTimeMother. I love quilting and used to do quite a bit at once. Time to bring out those bits and pieces again I think. 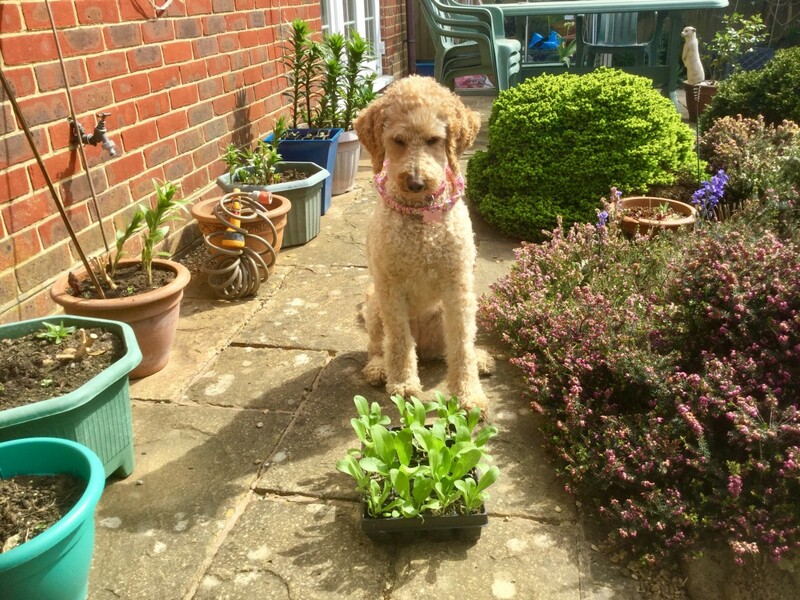 I also bought a beautiful one at a car boot last year - it has it own little bit of history, for it was a wedding present for someone. Not sure how they were able to part with it - but never mind, because I am delighted to own it now. Voted up. I enjoyed your hub. The quilt hanging in one of the photos looks like a quilt I just made this last year. Love quilting and have many started but not sure I will be able to get them done to much going on around our house lately. Voted up and shared. I grew up watching the ladies in the community spending hours piecing out quilt covers and talking over the latest gossip while they did so. Until recently my mother--in her 90's now--and friends got together a day or so every week to make quilts for auction and sale to private individuals. They received at least $500 for every quilt they could produce. I made them a quilting frame they used many times until they finally stopped making them. These elderly ladies knew their stuff. Great hub! This is a fascinating hub. The time and patience that goes into the making of a quilt is extraordinary. The end results are beautiful and make wonderful family heirlooms. Great photos too! Voted up. I just rec'd a beautiful handmade quilt from Victoria Quilts in Ottawa Canada. 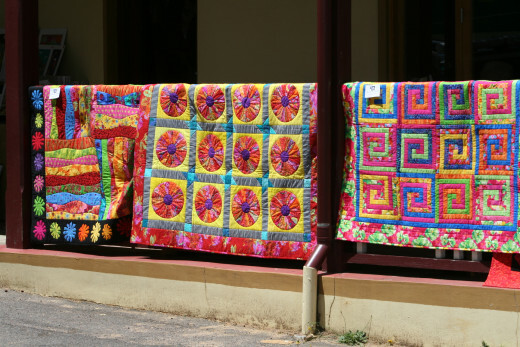 Women donate their time and quilting to make quilts for people with cancer. My cousin contacted them and asked them to make me one. It is gorgeous and now I'd love to learn how to quilt myself. Once I'm feeling a bit better I'm hoping to find a quilting club or class in my area as I think this is a hobby that I'd love to take up. I very much enjoyed your hub. Voting up +++, sharing and pinning.